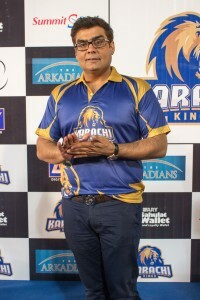 The owner of the Pakistan Super League’s team Karachi Kings, Mr. Salman Iqbal, announced today that the franchise is planning to take some major steps this year. These steps will take the strength of the team forward and provide exciting opportunities to the young cricketers of Pakistan for the PSL arena. The Karachi Kings will start three additional teams in order to bring out the best of cricketing amongst young and upcoming players in Karachi. There will be a junior team by the name of Karachi Kings XI. Which will comprise of the players selected and trained for the main Karachi Kings team. This team will be playing in local tournaments/leagues and best performers will be getting a chance to be part of the main Karachi Kings team. Apart from this there will be two teams by the names of Karachi Kings Under 15 and Karachi Kings Under 19. The players selected for these teams will be given full school and college scholarships by the franchise and encouraged to play cricket along with equal concentration on their studies. The franchise will soon announce camps in Karachi along with a complete team of professionals from the cricket arena including coaches, managers and selectors, which will also involve renowned cricketing names hailing from Karachi in the process. At this occasion Mr. Salman Iqbal said, “Cricket over the decades has become part of our culture and especially in Karachi which has made major contributions to Pakistan’s phenomenal cricketing history. We want to convert Pakistan Super League into a great opportunity for young aspiring cricketers in Karachi who were otherwise not getting enough means to prove their mantle. We invite the entire cricketing community in Karachi to come join hands with us and take cricket to the next level”.